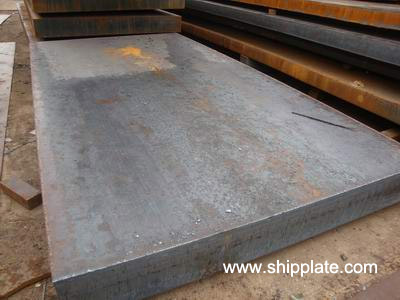 Due to the global financial crisis, the demand of major steel plate users in global shipbuilding, infrastructure and other areas is shrinking. Despite the adverse market situation, Baosteel plate export this year increases against the market trend. Up to now, the export has reached 500000 tonnes increasing about 10% compared with the same period last year and accounting for 25% of total plate output in Baosteel. Compared with past, exportation of steel products this year faces more difficulty. The main reason is that world economic powers have not yet got out of the global financial crisis. In shipbuilding, infrastructure construction and other areas, the demand for plates is still weak and plate exportation faces difficult. Faced with adverse market conditions, Baosteel takes several initiatives, vigorously promotes the export work and select series of strategic products to undertake the test of foreign customers. Baosteel Plate Variety Management Department, in cooperation with of Marketing Management Department, Baosteel overseas company, Baosteel Heavy Plate Mill, Manufacturing and Transportation Department and other units, formulate plate exports plan and manage processes at the beginning of the year, clarify the responsibilities of units and divisions and further strengthen the process control. With plate exports in a difficult situation, Baosteel Plate Variety Management Department and other units further strengthen the overseas market development actively communicate with the strategic customers and developed potential users. While stabilizing the users in shipbuilding and other oversea strategic users, this year, Baosteel plates have also successfully developed a series of users in the boiler container industry, cutting processing industry and the wind power industry. For example, Baosteel achieves order from Middle East shipbuilding enterprises which it has never involved with, so that Baosteel plates are first exported to this region.